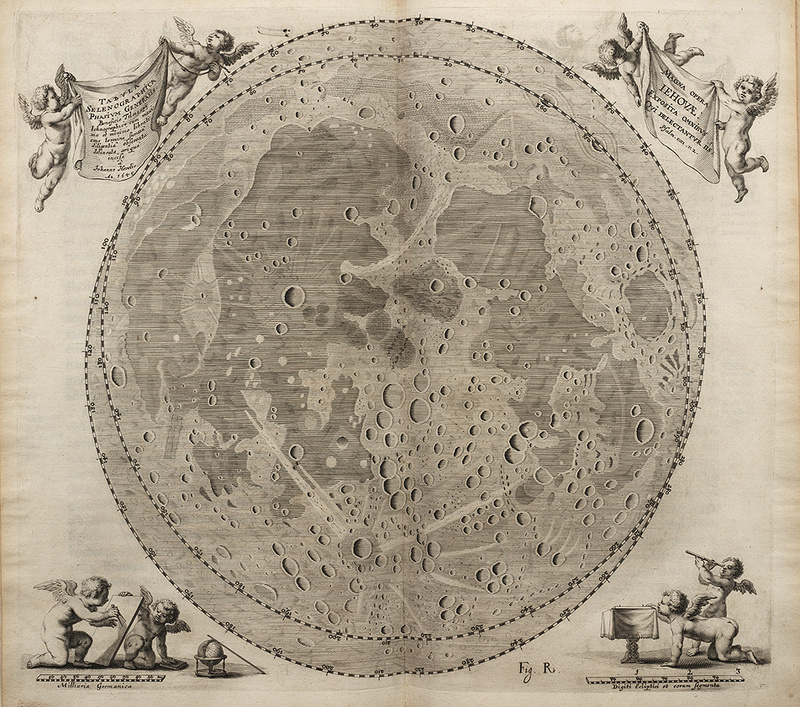 The illustration shows a detail of the southeast section (bottom-right) of the shadowed moon map. The ray system from Tycho dominates this view, but also evident are the ray systems around Stevinus A and Furnerius A, which appear like a pair of rabbit heads at bottom right. The overlapping trio of Theophilus/Cyrillus/Catharina at upper right also stands out.